High River Sauce – I Love It Spicy! 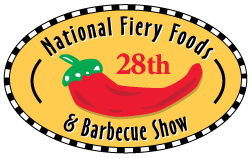 Throwback Thursday videos from last years Fiery Foods & Barbecue Show in Albuquerque, NM. Videos that got lost in the shuffle and are now this years warm up.